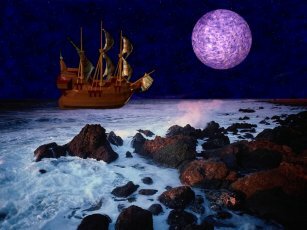 Set sail on a mystical voyage to a land of 3D sights and sounds. Hey! It's a nice thought anyway and this theme certainly looks and sounds great on my desktop. Hope it is as equally pleasing to your eyes and ears. Enjoy!